I've been straight-up terrible about blogging lately but both Tarra and I now have spirited, fun babies instead of headache, exhaustion inducing newborns so we're both doing our best to get back to it! 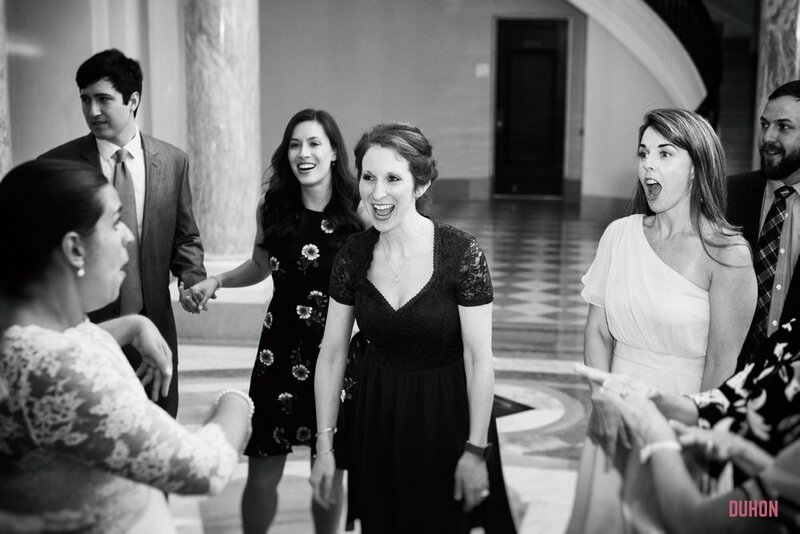 Plus, we're finally getting in some of the gorgeous photos from the weddings we've been working on lately. 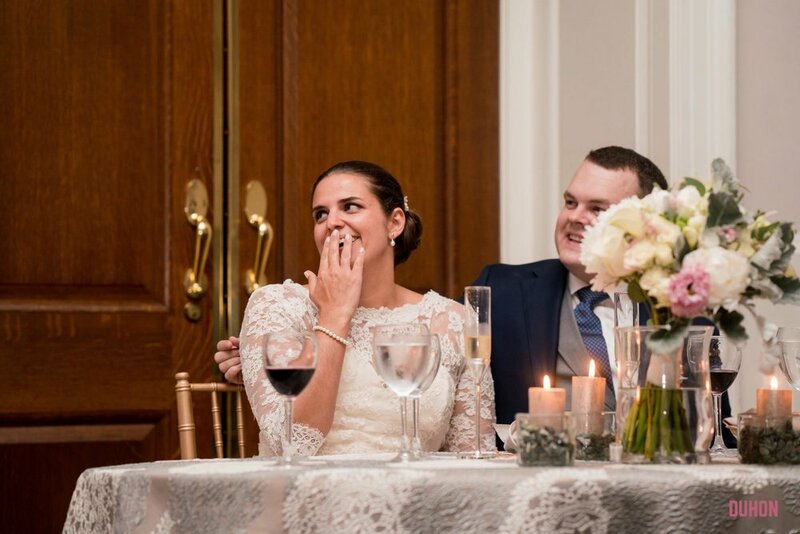 So here's Tarra to take it away about Eline and Brandon's awesome Carnegie Institute wedding! What can I say? The Plannery loves Carnegie! There is something about that rotunda that makes for the most quaint, timeless, and remarkable ceremony - and sick dance floor! Eline's mother recognized how cool the rotunda was too and gifted her daughter and new son-in law a handmade quilt depicting the rotunda floor. 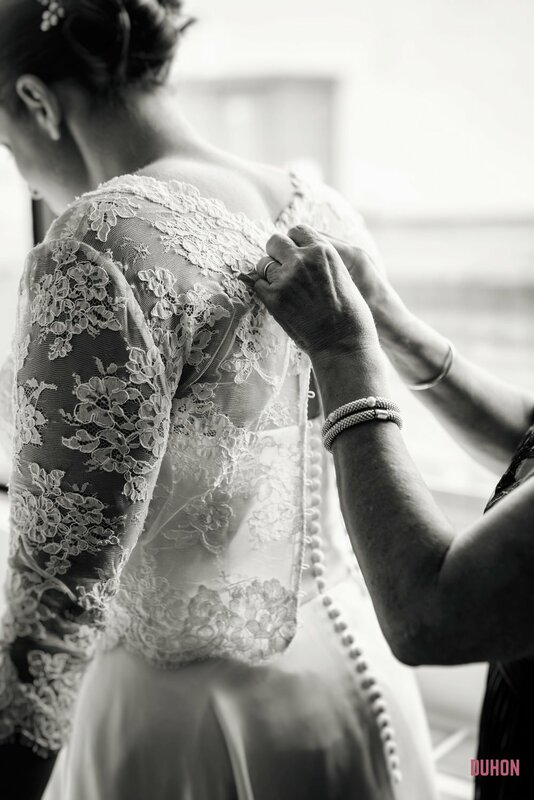 In addition to the quilt there were a few other small details that made this wedding special. There was that really awesome engraved pocket watch (that I actually wish was for me because I've always wanted one!). There was also the first look between Eline and her father as well as Brandon and his mother - so stinking sweet. More and more this is becoming my favorite little moment next to the father/daughter dance which I am a huge sucker for mainly because I have major regret for not doing one with my loving dad. And then there was the stroopwafels, that's right stroopwafels given as wedding favors. A Netherlands delight! 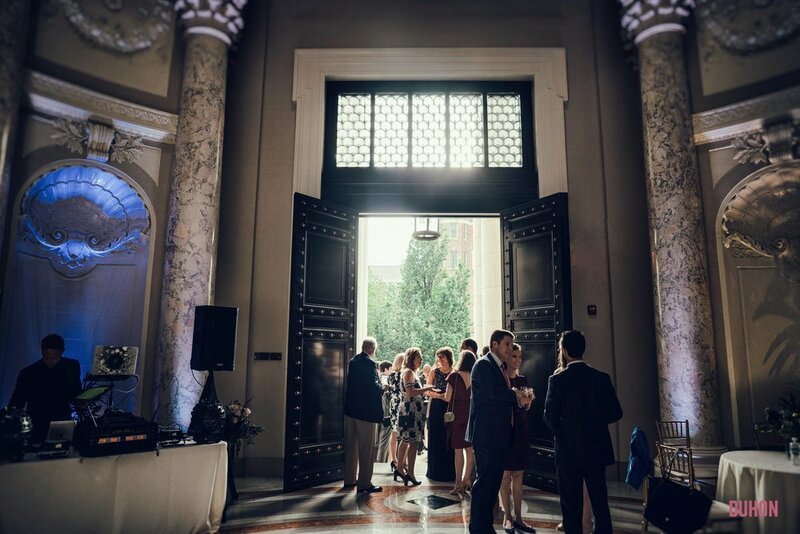 And finally there was the fabulous evening weather that we had that allowed the infamous rotunda doors to be open while everyone partied the night away. Eline and Brandon made this wedding so effortless to coordinate with their organization, transparency, and happy go lucky demeanor. Big shout out to Duhon Photography for his creativity in making cool people and a cool venue even cooler than ever!